The fight for the control of the Ministry of Information, Publicity and Broadcasting services has claimed the scalps of veteran journalists Caesar Zvayi and Mabasa Sasa. A source in the ministry revealed to Bulawayo24 that the two seasoned journalists were removed from their posts because they were deemed hostile to the Minister of information Monica Mutsvanga and Permanent Secretary Nick Mangwana. Zvayi. Mutsvangwa and Mangwana are reportedly involved in a power struggle with Deputy minister Energy Mutodi. "The power wrangle has been brewing for some time and Minister Mutsvangwa flexing her muscle through the Zimpapers editorial changes sending a signal to Mutodi and his allies at Zimpapers a strong message," the source said. "Following the appointment of cabinet last September, Mutsvangwa personally requested President Mnangagwa to drop George Charamba as Permanent Secretary in favour of Nick Mangwana whom she is now allegedly working with to fight her Deputy out of the information ministry." 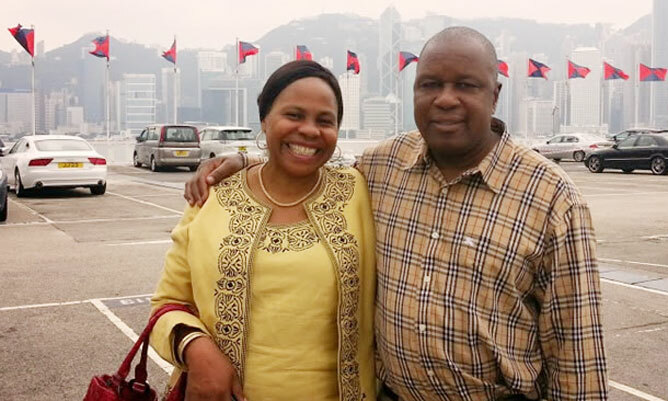 According to reports, all hell broke loose when the Deputy Minister Mutodi refused to rubber-stamp decisions which the minister is said to have deliberated and agreed on at home with her husband Ambassador Chris Mutsvangwa. Among the decisions cited include dismissal of Herald Editors, an onslaught against fuel giant Sakunda among other decisions. Following the disagreements, Monica Mutsvangwa has reportedly taken the war on Mutodi by denigrating her Deputy in front of President Mnangagwa where she called her deputy too many names. The demoted editors were deemed as part of the Mutodi faction because they allegedly refused to sanction stories that advanced the personal interest of the Mutsvangwas.